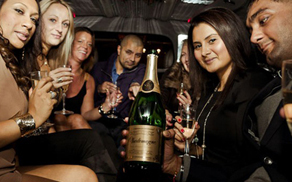 Exclusive Limousine is a name reckoned with the best luxury car hire company in Melbourne and across Australia. Our luxury cars are available for all occasions. Whether you are looking at a car for your wedding, school formal, hens night, bucks party, or even a winery tour, you need look no further. Our wedding car hire services are specially designed to make your wedding a memorable event. Every one of our wedding cars are cleaned, polished, and beautifully decorated to ensure that when you arrive, the car accentuates the beauty that only the bride can hold. Our wedding car hire packages are extremely affordable, and have flexibility to suit your needs. Nobody wants to be outdone at their school formal. Exclusive Limousines has the perfect choice of cars for you to hire in order to stand out from the crowd. Impress all with a Stretch Hummer, amaze with a Hyper-stretch SUV, or make everyone jealous with one of our beautifully maintained Classics. With our selection of luxury cars, you can be sure that you arrive and leave from your school formal in safety and style. One of your girlfriends getting ready to tie the knot? One of the blokes saying goodbye to the free life? 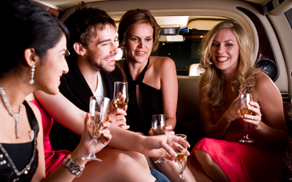 Our Hens and Bucks night car hire service is the best in Melbourne. Our chauffeurs are specially trained to ensure that all of our clients have an unforgettable night whilst guaranteeing their safety. Experience the best is chauffeured luxury cars with Exclusive Limousine’s impeccable service. Call now for any information on 0428 486 637 or 0467 486 637.